NHMI, a 501(c)3 non-profit organization, was founded in 1993 by James Vailas, MD (President), Laura Decoster, ATC (Executive Director) and the NHMI Board of Directors. The Institute consists of a Board of Directors, an Advisory Board, and Active Membership. The Board of Directors functions as you'd expect, determining our daily operations. The Advisory Board consists of experts who act as resources for the Institute when needed. Finally, Active Membership allows members access to members-only activities and discounted rates for NHMI courses. In 1994 we kicked off efforts in the educational arm of our mission in the form of our first fall symposium and our post-professional athletic training residency. The fall symposium continues to be an annual event and in March of 2000 was joined by an annual orthopedic winter meeting. The residency, symposium and winter meeting make up the core of our educational activities. In 2013, the residency became the first program of its kind in the nation to receive CAATE accreditation. 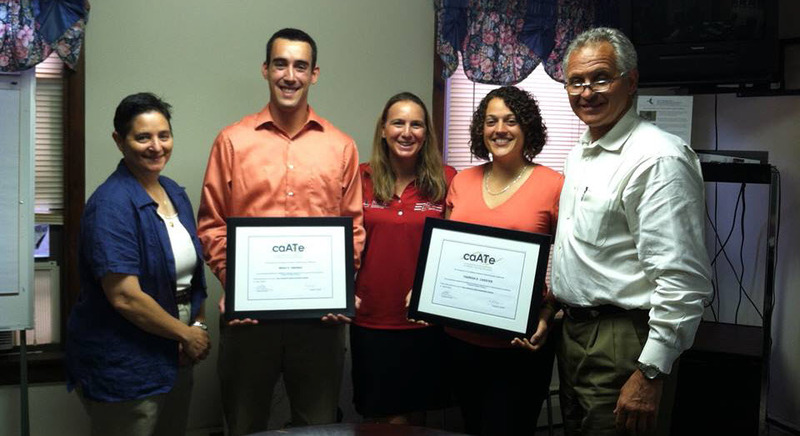 (In the photo, the first residents to complete the Accredited Residency, Brad Endres and Theresa Chester, receive their CAATE Certificates.) 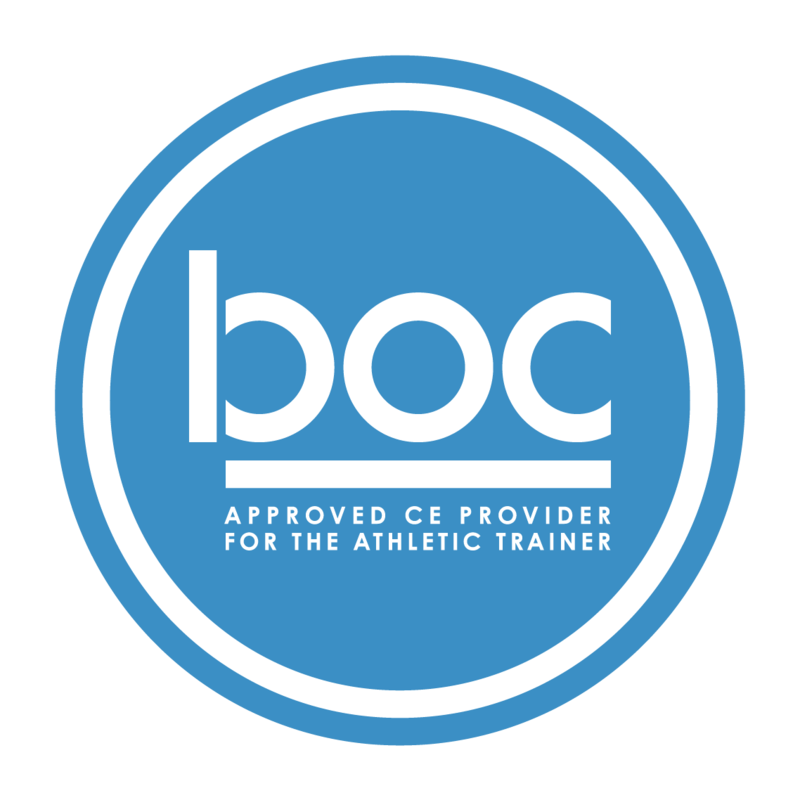 Other educational offerings include a camp scholarship for high school students interested in athletic training, occasional collaborations with other organizations and anatomy review (dissection) workshops. Our earliest research efforts included a survey of orthopedic surgeons designed to determine how ACL braces were being used and a look at the impact of joint hypermobility on athletic injury risk. Much of our research work has been collaborative and that is reflected in the makeup of our Research Committee where members represent the University of New Hampshire, Plymouth State University and Bridgewater State University. The Safe Sports Network started in the late '80s offering free sports physicals and athletic injury evaluation. Today, Safe Sports provides athletic training services at nine area high schools, free sports physicals, drop-in injury clinics, injury prevention education and concussion management. In 2011, youth sports leagues became a focus of Safe Sports Network's comprehensive concussion program; several youth leagues now participate. Support from several foundation grants has allowed expansion to eight middle schools in 2015. Click Here to read our 2017 Annual Report. Click Here to read our 2016 Tax Return. Click Here to read our 2016 Annual Report. Click Here to read our 2015 Tax Return.